At Flagship Orthodontics, we want to see you with a smile you love to show off. Dr. David Bonebreak performs quality treatments with gentle care. We treat all our patients as if they were members of our own family, and we will not recommend treatments that are unnecessary for your individual needs and desires. 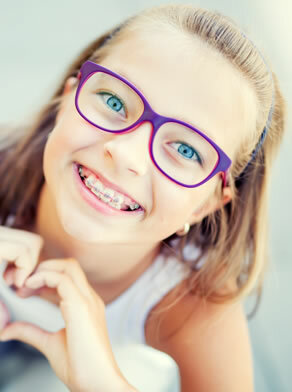 Flagship Orthodontics offers orthodontic services for people of all ages. In addition to traditional metal braces, we also provide Invisalign® clear aligners! We want you and your family to feel at home! Our friendly and outgoing staff will make you feel relaxed and appreciated while Dr. Bonebreak gives you the smile of your dreams. Come in and visit our state-of-the-art practice in Hanover, MD, and finally attain a smile you will be proud of!